Plant-based eating is on the rise, which means people are transitioning to eating more fruits, vegetables, grains, legumes and less animal products. Numerous studies have shown that choosing a plant-based diet can help prevent many chronic diseases, help with weight management, and even lower the risk of certain cancers. Additionally, It is better for the environment in terms of greenhouse gases and cheaper than animal-based protein, which is a double win. By plant-based eating, I am not referring to going vegan or vegetarian; I am just talking about diet that focuses heavily on unprocessed plant foods (for example - Oreo is vegan but I wouldn't consider eating Oreo as a part of your everyday meal to be plant-based). Legumes are a popular vegetarian protein source in the vegetarian // vegan world but there are still some confusions, curiosities, and need for general awareness on legumes. I hope this 3 part-series on Legumes 101 will help uncover it's basics (part I), teach how to cook (part II), and show how to incorporate legumes in everyday diet (part III). What are Legumes? Legumes are considered plants that have pods with seeds inside. They represent a vast family of plants including more than 600 genera and more than 13,000 species. Legumes can be broadly categorized into soybeans, peanuts // pulses (includes lentils and dried peas & beans) // fresh peas & beans. Some examples include adzuki beans, black beans, black-eyed peas, chickpeas or garbanzo beans, edamame (green soybeans), fava beans, kidney beans, lentils (many types including red, black, green, French green and brown), green beans, and peanuts. One cup of cooked lentils provides: 230 calories, 18 grams of protein, 16 grams of fiber, 40 grams of carbohydrate, 37% of the RDA for iron, 90% of the RDA for folate, 18% of the RDA for magnesium, 21% of the RDA for potassium, Over 10% of the RDA for Vitamins B1, B3, B5 and B6, phosphorus, zinc, copper and manganese. 1 Cup of cooked black bean provides: 227 calories, 15 grams of protein, 41 grams of carbohydrate, and 15 grams of fiber. 1 cup of cooked dried peas provides : 229 calories, 16 grams of protein, 41 grams of carbohydrate, and 16 grams of fiber. Besides the excellent nutritional benefits, legumes are great for the environment. Legumes have the ability to fix nitrogen therefore, growers don’t need as much synthetic nitrogen fertilizer, which requires lots of fossil fuels and other commercial energy sources to produce. Additionally, they are more drought and pest resistant than cereals so it needs less irrigation in dry conditions. Peas, beans and other legumes help reduce the amount of nitrate (fertilizer nitrogen’s soluble form) that leaches off crop fields and contaminates groundwater, rivers and lakes. Pound per pound, legumes are SO MUCH CHEAPER than animal-based protein. Where To Buy Legumes? You can buy legumes at most grocery stores. Depending upon what you are exactly looking for, black beans, chickpeas, black eyed peas, and kidney beans are widely available in both canned and dried variety. For specialty legumes, you may have to go to an international grocery store. Farmer Direct also has few selections of 1 lb bags online! Personally, I like to buy dried legumes when possible from bulk-bin section and soak and cook them myself (which I will share more on part II). If you are new to legumes, you can start with canned variety or small sample of dried ones to get yourself familiarized. 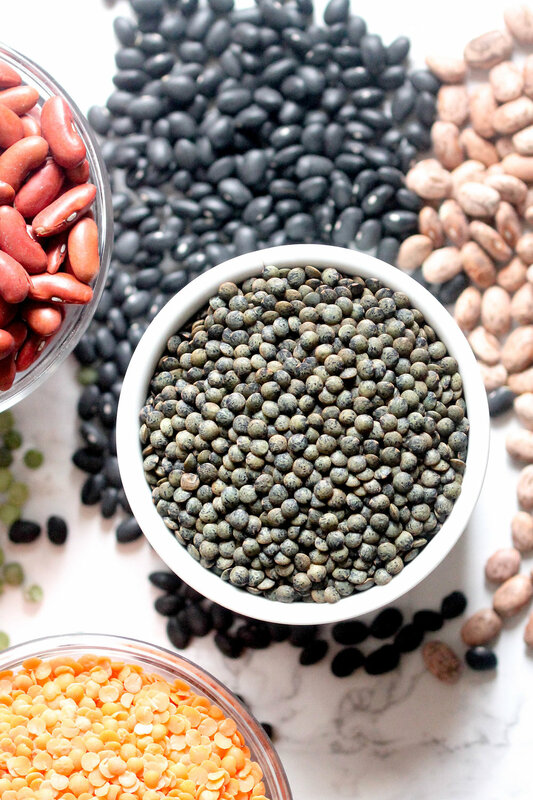 What's the deal with phytic acid, lectins, and saponins in lentils? 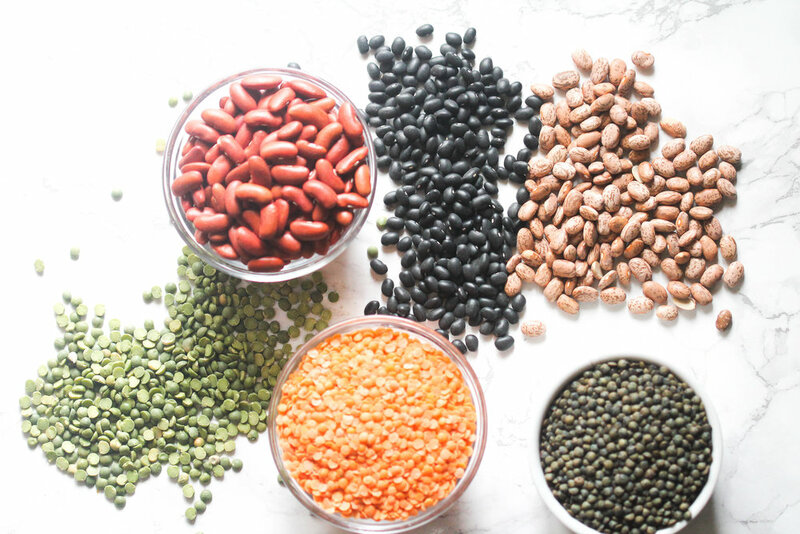 Despite it's stellar nutritional and environmental benefits, legumes have been a controversial topic and discouraged by Paleo, Whole 30 community due to it's phytic acid, lectins, and saponin content. Phytic acid - It is the storage form of phosphorus and often considered an anti-nutrient because it binds minerals such as iron, zinc, magnesium, and calcium in the digestive tract, making them less available to our bodies. The most concentrated sources tend to be whole grains and beans but amount of phytic acid varies widely based on different conditions. One can decrease the amount of phytic acid in food by using various methods of preparation - sprouting, soaking or fermenting. Cooking legumes with heat also help decrease the phytate content to some extend. Additionally, pairing phytate-rich foods with foods high in vitamin C or vinegar will aid in mineral absorption and offset the phytic acid. Lectins - They are carbohydrate-binding proteins found in most plants as well as in dairy. Lectins play a defensive role in plants by protecting the plant against attacks from microorganisms, pests, and insects. Lectins is feared for damaging the cells lining the intestinal tract and causing leaky gut. One can destroy lectins by fully cooking and preparing it. Unless you have a medical necessity to avoid legumes from your diet, I wouldn't suggest completing eliminating legumes (or grains) from your diet in fear of lectins. Currently available studies suggest that ingestion of lectin at levels after processing is unlikely to pose a risk to human health in otherwise healthy individuals. Saponins - They are compounds that can form a foam, or soap-like, substance when shaken in a watery solution. Like phytic acid, saponins bind to various nutrients inhibiting our ability to use them however, their content can be easily decreased by heating, washing, and soaking. Saponins have actually shown to help lower cholesterol, may reduce incidence of cancer, and possibly lower post-meal blood glucose response. In humans, saponins are poorly absorbed, therefore legumes shouldn't be eliminated from your diet solely for these reasons. As you can tell, I am heavily passionate about legumes and have so much more to share. Please check back Wednesday on "How To Cook Legumes?" (part II) of this Legumes Series. GIVEAWAY --> Details on Instagram!